Home » Creative » To weigh or not to weigh, that is the question..but what is the point? 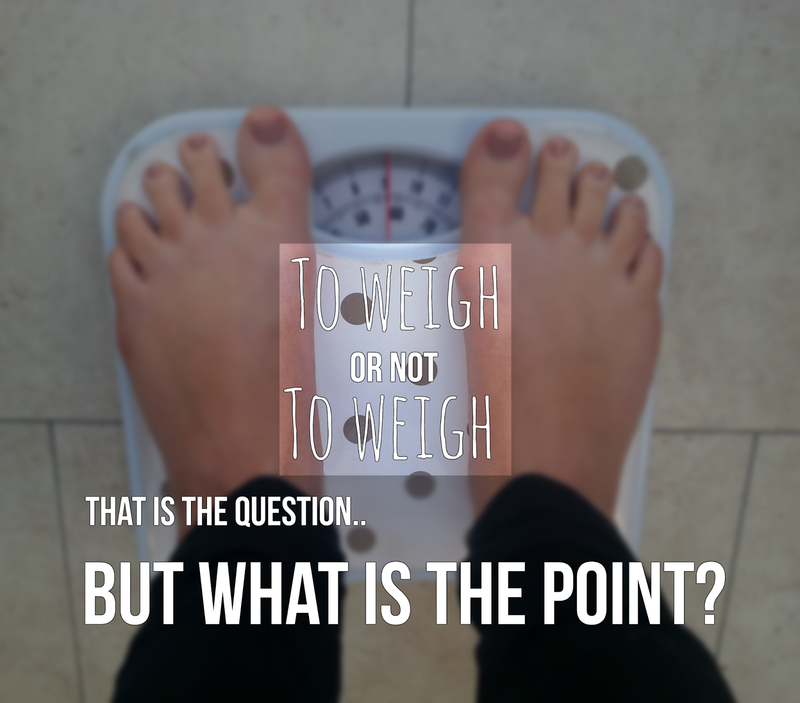 To weigh or not to weigh, that is the question..but what is the point? So, my mother-in-law has just come back from her holidays (a 10 Mediterranean cruise!) lucky whatsit! Whilst she’s been gone we have had no bathroom scales, I don’t personally own any for fear of becoming scale-addicted! The problem is…She came back today.. and so have the scales, now my first instinct is to run upstairs and hop on the newly returned scales but of course I sat, saw all the tan lines and snaps and caught-up with all of the gossip, she’d had to pay $17 for a glass of wine! But I digress, mum-to-be mentioned her weight, apparently she’d put on half a stone over ten days on her all you can eat cruise, but so did I.. I think. As we chatted, I told her about my chocolate and cake binges and the fact that I’ve cut off my paleo instincts and I’m now eating like a sugar crazy monster.. I know that I’ve put on weight, I can tell from my stomach, my lethargy and my need for sugary foods that I’ve put on weight, I’d guess hmmmm…around 5lbs in 9 days..
Why is it my first instinct to need to weigh myself when the scales return to my house? Why is it that when they were gone I ate like I’d never felt healthy before? Why did I need to know exactly how awful I’d been to my body? So, what is it about the scales that call to me and make me want to put a number on my shame? I feel like It’s me punishing myself “Well you’ve eaten crap so you’ve put on x-amount of weight, look at you you dumbass” also, it’s because I know how long it’ll take to lose the weight. So why did I eat like that in the first place? 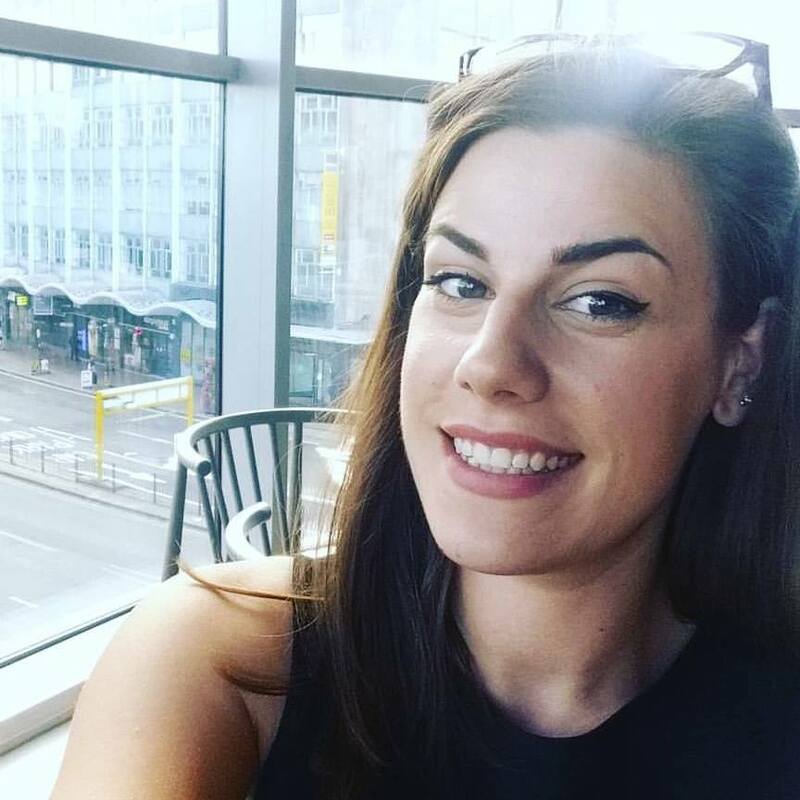 Why should I put my healthy happy body,that I’ve spent years making stronger and positively encouraging.. through the hell of eating so much crap and sugar? because.. I felt a release from the scales. Not because I’m addicted to them or to weighing myself, but because they’re a habit, I find myself drifting towards them out of habit! I love seeing that I’ve not put on weight (It’s not a surprise) I eat carrots and bananas like they’re going out of fashion but who doesn’t love to see the numbers dropping? But, the thing is, I shouldn’t. rely on your eating habits to help you lose weight. So, when should you weigh yourself? honestly, I don’t really think there is a need to, if you’re uncomfortable and you feel like you’ve fallen off the wagon, just focus on sorting your self out, don’t focus on the numbers. After all, friends, family and colleagues see you, they don’t need to know the numbers on the scale, they just want to see you as a healthy person.So, should you weigh? I never did weigh myself after the holiday and still haven’t but I’m sure when the scales are there and I’m having a rough day I’ll weigh myself as an extra kick up the bum to do a workout. I’d still say I’ve put on 6lbs over the break from the scales (The picture is from broken scales – I’m probably 9st 5), but I won’t punish myself by finding out the damage (by weighing myself) because I had fun eating crap for a few days, It was a huge release and also it gives me a target again to tone up and get back to the healthy me I’m used to. So remember, you might mess up, you might have bad days, but we all do..all you need to know is that if your body doesn’t feel right, you feel tired and in need of sugar.. then fuel it with healthy foods and it’ll soon pick up and snap back to fit & healthy. then why not like me on Facebook too? Ask me anything, I’ll get back with a plan and advice for you! « And the winner is…//Rafflecopter results + Personal update. Great post. I don’t bother with my body weight much. I can’t remember the last time I went on a scale. Maybe when I was pregnat 3 years ago, lol.. I struggle with weighing and not weighing myself and sometimes I get a bit obsessive. I naturally gain at christmas or on holiday and other times so dont bother until a few weeks later when I have gone back down again..